Just a reminder to visit the Prints 4 Non-Profits site for a weekly selection of 11×14 prints up for bid. All profits from sales are donated to a different local charity and bidding starts at just $5! Bids placed by midnight tomorrow (5/1/10) will help Noble of Indiana and, starting on Monday (5/3/10), the profits for May will go to Best Buddies, Indiana. Details on both these charities, as well as directions for bidding, can both be viewed at Prints 4 Non-Profits. 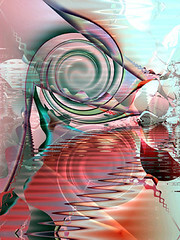 Start or expand your art collection will you help a great cause! 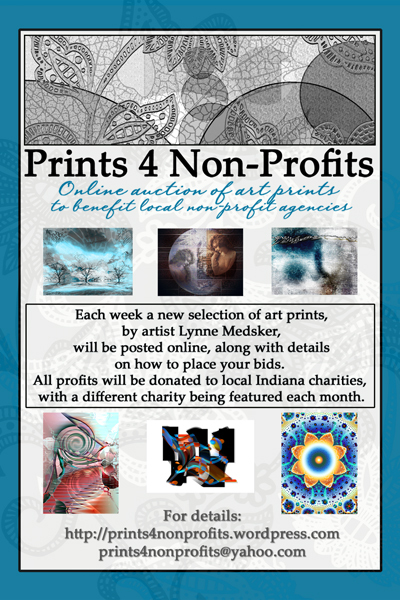 Just a reminder that next week kicks off the premier of “Prints 4 Non-Profits” an online blog/auction site where you can bid on prints of my artwork. Bidding starts at just $5 and all profits are donated to a local charity. For the month of April that happens to be Noble of Indiana. A new selection of prints will be posted each Monday so check in often to catch some great deals on art and help a great cause…what could be better? I have had this project up my sleeve for a while, here’s a teaser and a little info.